EPHRAIM—Ephraim City appears to be biting the bullet on a resolve to clean up blight, starting with a 20-unit trailer court on the west side and a graffiti-ridden motel on Main Street. From there, inspectors and code enforcement officers will be addressing the rest of Main Street and then fanning out to the rest of the city, Brant Hanson, the city manager, told the city council and citizens at a meeting Sept. 7. Eight days after the council meeting, an inspector and engineer from Sunrise Engineering of Fillmore, a firm the city has contracted with for building inspection and code enforcement assistance, were in town. The Sunrise staff, along with the city manager, electrical superintendent, public works director and a member of the city council spent nearly three hours inspecting the troubled trailer court at 200 North and 200 West, and then moved on to the vacant Travel Inn at 330 N. Main., where they spent more than an hour. While the officials didn’t say much during the inspection, the city council has openly discussed shutting down the trailer park. The council has also talked about condemning and demolishing the motel. The inspectors were undoubtedly looking at whether such actions are legally possible. As of Tuesday, Sunrise Engineering was compiling a letter of findings, which it was expected to deliver to the city later in the week. “I think you’ve got all of our support,” Councilman John Scott said. “Yes you do,” echoed Councilwoman Margie Anderson. Scott said more citizens had appeared at two council meetings in September to talk about code enforcement than to talk about any issue in the six years he’s been on the council. “It’s becoming an issue to the community,” he said. Mayor Richard Squire cautioned that the city council needed to be committed to a change in code enforcement practices for the long haul. Up to now, City Manager Hanson told the council, Ephraim has sent out enforcement officers only in response to complaints. Now, staff will start proactively visiting with owners of problem properties. Besides the trailer park and motel, a couple of situations have been wakeup calls, Hanson said. One was a fire at an ill-kempt home that spread to adjacent homes. Another was a man who was keeping 90 feral cats. Mayor Squire said the city can’t eat an elephant all at once. That’s why it is focusing first on the trailer park and motel, which officials say have the most glaring and potentially dangerous problems, then moving to Main Street, then the rest of the city. We want to be proactive along Main Street because that’s our gateway,’ Hsnson said. And the city receives more complaints about Main Street than about any other location. Six residents spoke out at the Sept. 7 meeting. One was Dale Nicholls, who was a building inspector in Ephraim years ago, went on to become the Park City building inspector, and then retired in Ephraim. From the motel, they drove around the city and took pictures. “And we found couches and old furniture and broken down cars and grass waist high. This isn’t the Ephraim I understand was here before I came. Stacy Hermansen said she manages a complex housing 115 Snow College students. The house next door is occupied by a woman who is mentally ill. She has eaten out of dumpsters on the student complex property and may be violent, Hermansen said. Her property is a fire hazard, and the safety of the 115 students in as stake. “I’ve taken pictures for the past 14 years,” Hermansen said. “I have approached the city.” But, she said, nothing has been done. 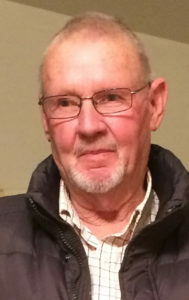 STERLING—Former Sterling mayor John Ludvigson has died after a single-vehicle accident on last Wednesday, Sept. 20 while traveling on U.S. 89, 3 miles north of Gunnison. According to the Utah Highway Patrol, Ludvigson, 88, of Sterling, may have suffered from a medical issue when his Chevy Cruze veered to the right and crossed over a dirt road, which caused the car to become airborne before landing and rolling over once. Ludvigson was the only person in the car. Because of the question of whether a medical problem caused him to lose control of the vehicle, the case was referred to the Utah Medical Examiner’s Office in Salt Lake City for further investigation. Ludvigson was born and raised in Sterling and attended Manti High School. After serving a mission in Washington State, he married his sweetheart, Jennie Lee Jensen, in the Manti Temple. The Ludvigsons continued to live in Sterling, where Ludvigson spent his time farming. In his later years, he served as an ordinance worker in the Manti LDS Temple and filled several callings in his local ward. His wife died in 2014. Cliff Trail in Six-Mile Canyon. Services for Ludvigson will be held Saturday, Sept. 24 at noon at the Sterling LDS Ward. Prior to services, friends may call, from 9:30 to 11:30 a.m. He will be buried at the Sterling Town Cemetery. MANTI—Angela Hill pleaded “not guilty” in Sixth District Court last Wednesday, Sept. 21 to felony burglary and theft charges connected with the double-murder allegedly committed by Logan McFarland in 2011. In addition to her not-guilty plea, Hill waived her rights to a speedy trial. Her defense lawyer, George Diumenti Jr., explained the defense’s reasoning. “As you can anticipate, Mr. Keisel (Sanpete County Attorney Brody Keisel) and I have been in constant discussion about the direction of this case, and I know you are aware of the companion cases,” Diumenti said. He said the state and defense had agreed to a joint motion to set a pretrial conference in 120 days. Hill is currently serving a up to a 30-year prison sentence in Nevada in connection with the attempted kidnapping and carjacking of West Wendover resident Rattanaphorn Keomanivong. Hill was with McFarland at the time of the crimes. 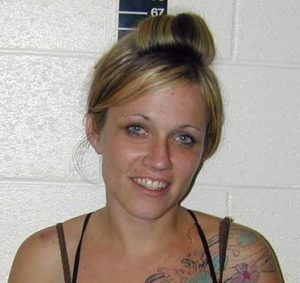 Nevada Adult Probation and Parole recommended a 15 –year sentence for Hill. But Elko District Judge Nancy Porter doubled the sentence because, according to the judge, Hill did not show sufficient remorse. Hill appealed the sentence, her defense attorney arguing the 30-year sentence was “radically increased” with no explanation but a “vague reference to lack of remorse.” The appeal was denied. The Nevada proceedings delayed prosecution of Hill in Utah. But she is now facing two first-degree felony aggravated burglary charges, one second-degree felony burglary charge and one second-degree theft charge. “I stay in touch with the victims,” Keisel said. He said the families wish the cases against McFarland and Hill were over but understand the importance of allowing the legal process to play out. A first-degree felony charge carries a possible sentence of 5 years to life in a Utah State Prison. A second-degree felony carries a possible 1-15-year prison sentence. Initially, Hill was sent to the Sevier County Jail to prevent interfacility communications with McFarland, who is in the Sanpete County Jail. But she has since been moved to the Utah County Jail. After Hill pleaded not guilty to the Utah felonies and, after Sixth District Court Judge Marvin Bagley agreed to the joint motion to waive her right to a speedy trial, he set a pretrial conference for Jan. 18, 2017. McFarland himself has a hearing in Sixth District Court on Monday. FOUNTAIN GREEN—The Utah Department of Transportation (UDOT) began repaving the highway between Fountain Green and Moroni City today and the construction will continue through Saturday and repeat on a weekly basis until completed. The project is part of a cooperative effort between UDOT, Moroni and Fountain Green to renovate the length of Highway SR-132 that stretches through and between both towns, and also included a number of other improvements. Construction began on Jul. 18, and, although UDOT originally projected it be a 3-month project, their current competition schedule is now Nov. 1 of this year. The area of construction goes from SR-132 mile marker 46.95 in Fountain Green to mile marker 56, just south of Moroni. With the repaving phase that is beginning today, Kevin Kitchen, UDOT regional communications officer, says they expect to repeat the same schedule weekly (Thursday through Saturday) so they can try and finish things up before the cold weather moves in. The travel lanes will be paved first, followed by any side streets and access lanes UDOT decides to repave. When paving is taking place, only one lane will be open to traffic and motorists will be directed by flaggers or a pilot vehicle, says Kitchen. After paving is completed, UDOT plans to restripe the same length of highway. According to Kitchen, UDOT last worked this section of SR-132 back in 2010, applying a seal to the road. The need for the work comes down to routine preservation, Kitchen says. Along with roughly 9 miles of road to repave, since work began in July, UDOT reports that they have installed curbs and gutters and worked on driveway access in Fountain Green. They have also installed handicapped-accessible pedestrian ramps, in accordance with current standards set by the American Disabilities Association (ADA). In addition to wheelchair accessibility, the street corners have also been upgraded to a textured surface to help signal the blind that they are standing at an intersection. Kitchen advises that Sanpete residents access travelwise.utah.gov to be educated on how to aid in the project fulfilling its scheduled completion. Members of the public are invited to contact the project team with any questions or concerns by calling the project hotline at (800) 653-4255 or emailing sr132@utah.gov. through the UDOT traffic website (udottraffic.utah.gov). Manti native Bailey Simons waves after being crowned Miss Heart of Utah at the Sevier Valley Center in Richfield on Saturday. To the left is her first attendant, Keaten Mickelsen of Salina. To the right is the second attendant, Marissa Richardson of Nephi. RICHFIELD—Bailey Simons of Manti has a passion for a special kind of giving, and that passion was a big factor in her being crowned Miss Heart of Utah at the Sevier Valley Center on Saturday, Sept. 17. Miss Heart of Utah, now in its second year, is a preliminary pageant in the Miss America series and is open to young women in nine counties, including Sanpete, Sevier, Wayne, Emery, Carbon, Beaver, Juab, Piute and Millard who have previously participated in a local pageant. While the Miss Sanpete pageant in Sanpete County is affiliated with Miss Utah and Miss America, some of the nine counties do not have affiliated pageants, Hallows explains. 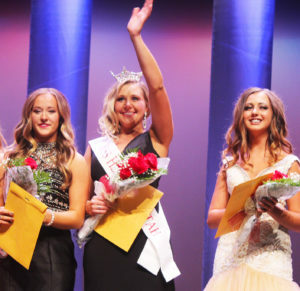 The Miss Heart of Utah offers an additional chance for a Sanpete County girl, and chances young women in counties that don’t have affiliated pageants, to get on the Miss America track. Having been named Miss Heart of Utah, Simons will move on to compete in Miss Utah next June. Kaytie Nielson of Fairview, Miss Sanpete County for 2016, will also compete for Miss Utah. Simons participated in the Miss Manti Scholarship Pageant in 2015 and was chosen as third attendant to Miss Sanpete in August. Simons says she chose her platform after her older brother, Brady, was killed in a tragic car accident at 19. He was a registered donor and was able to donate five organs and his corneas. “I have noticed that people don’t truly understand the importance or the impact organ donation has on us,” Simons said. “That’s why I want to make a difference, to show them that by simply registering, you are making a difference. It may not be right now, but it will come. I never knew that my brother [Brady] would impact and save as many lives as he did. Simons, who is the daughter of David and Allison Simons of Manti, graduated from Manti High with a 4.0 GPA. She was very active in athletics and academics. She played high school basketball, golf, softball, track and tennis, and took state in tennis in second doubles. She was also a Manti High Sterling Scholar last year in social sciences. She is now attending Snow college and says she wants to become a biochemical/ biomedical engineer. “She gets asked to participate in a lot of scholarship pageants but she debated and decided to do Miss Heart of Utah and she is so happy she did it,” her mother, Allison Simons, said. “The judges saw something special in her and her passion for her platform. Simon’s first attendant in the Miss Heart of Utah pageant is Keaten Mickelsen of Salina and her second attendant is Marissa Richardson of Nephi. 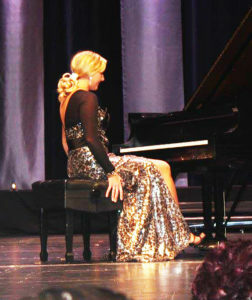 Simons played piano for the talent portion of the pageant. 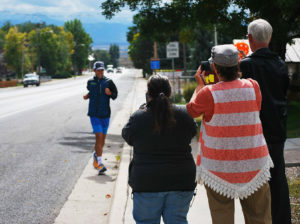 Don Stewart (left), Terry Madsen and Kim Roy snap a photo to commemorate the arrival of champion ultramarathon runner Pete Kostelnick as he travels through Fairview during an attempt to set a Guinness world record. Kostelnick is attempting to run 3,100 miles from San Francisco to New York City in 44 consecutive days. FAIRVIEW—Ultramarthathon runner Pete Kostelnick, who in everyday life is a financial analyst in Lincoln, Neb., stopped in Fairview last week during his attempt to break a Guiness world record by running from San Francisco to New York in 44 days. Starting on Sept. 12, his 29th birthday, Kostelnick bounded away from the San Francisco City Hall and began his attempt at covering the 3,100-miles to New York by Oct. 25. Currently the transcontinental record is held by Frank Giannino Jr. of Middletown, N.Y., who in 1980 ran the 3,100 miles in 46 days, 8 hours and 36 minutes. Kostelnick’s plan has him averaging roughly 70 miles each day, which equates to just a little less than running three traditional marathons every day for six weeks straight. His route took him through Fairview on Thursday, Sept. 22, where he had a milkshake at the Home Plate Cafe, checked in with his support team, and talked with local friends and supporters such as the staff at the Fairview Museum. Kostelnick’s support team is broadcasting regularly via Facebook Live on the Pete’s Feet across America Facebook page. Viewers can learn about Kostelnick’s daily schedule, monitor his progress and hear from other athletes and product sponsors. Kostelnick set a course record for the STYR Labs Badwater 135, an ultramarathon promoted as “the world’s toughest foot race,” which sends competitors on a 135-mile run from the lowest point in the country—Badwater Basin in Death Valley, California—to the trailhead of the highest point—Whitney Portal at Mt. Whitney, California. Kostelnick covered those miles in 21 hours, 56 minutes and 32 seconds. The Badwater 135 Ultramarathon race director, Chris Kostman, says he believes Kostelnick has the talent to achieve the new transcontinental record. In 2015, he entered the Desert Solstice Track Invitational and covered 163 miles in the 24-hour event. That earned him the No. 1 seed in the International Association of Ultrarunners 24-Hour World Championships in Belfast, Northern Ireland, scheduled for next July. Kostelnick was born and raised in Boone, Iowa and graduated from Iowa State University with degrees in finance and international business. He is married to Nicole Kostelnick, also a runner. For more information, visit www.petesfeetaa.com. EPHRAIM—The Ephraim City Council has approved a contract under which Sunrise Engineering of Fillmore will provide plan review and building inspection services for new construction as well as consult on special problems such a code enforcement and condemnation of buildings. The council approved the contract Sept. 7 at a meeting where several citizens talked about the need to tackle blight citywide. Up to now, Sanpete County has reviewed proposed architectural plans for new structures or major remodels, issued building permits, conducted final inspections and issued occupancy permits. 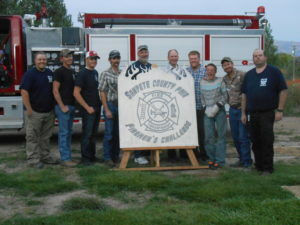 The county has provided the services for all jurisdictions in the county, including Ephraim. 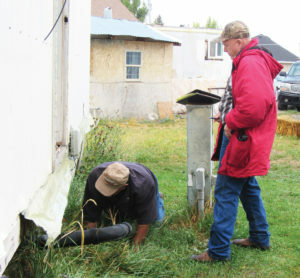 However, because of the volume of multi-family and commercial construction in Ephraim, including special situations such as homes being converted to apartments, the city has more requirements on its checklists than other cities or the county itself, Bryan Kimball, city planner and engineer, said. The result was that some Ephraim City requirements weren’t being monitored, he said. At the Sept. 7 meeting, City Manager Brant Hansen told the city council he had looked into adding a licensed building inspector to the city staff. “But it was beyond our price range, frankly.” And, he said, there were times when there wasn’t enough activity to keep a full-time inspector busy. Sunrise will be compensated by receiving a percentage of building permit fees, plus paid an amount per diem when it has staff on site in Ephraim. Mark Huntsman, senior vice president of Sunrise Engineering, told the city council the firm had provided building inspection services to local governments for 20 years. “We started out in rural communities, and now we’re in urban areas,” he said. The team that would serve Ephraim has 15 people, including licensed inspectors and people with experience as city building officials. “Some people say, ‘Oh, you’re going to run it like a big city,’ and we run big cities,” he said. “…But we also have the town of Meadow (on I-15). We handle all their code enforcement and their building permits, and it all works. Huntsman said he and his staff had met with city staff members to discuss how the contract would work. He said Sunrise would designate one key inspector for Ephraim. Another two or three designated Sunrise staff members would come to Ephraim as needed to help out the main inspector or provide supplementary expertise. Huntsman said Sunrise was talking to an employee who has family ties in Sanpete County and might be willing to move to the local area, which would make the key inspector very accessible. “When you have special needs, like we talked about with the trailer park and other issues, we have veterans, who are mostly in Salt Lake, who know how to deal with these issues, condemn the buildings, and things like that,’ he said. Kimball told the city council the Sunrise contract would create a “more seamless process” because contractors and residents, rather than getting zoning permits from the city but going to the county for building permits, could get all permits at city offices. GUNNISON—The Gunnison City Council is mulling over its involvement in creating a unified Gunnison Valley Police Department now that has Mayfield tabled its participation. Blane Jensen, Gunnison City councilman and former police chief, has been Gunnison’s representative during drafting of an interlocal agreement that would dissolve both Centerfield and Gunnison’s police departments to establish a unified force. “With Mayfield’s withdrawal, the way the agreement was originally written, it is my belief that we cannot move forward if we hire an outside chief,” Jensen told the council. Under the original agreement, Jensen said Mayfield would have contributed $15,000 to the unified department budget during the first year, $30,000 during the second year and nearly $65,000 the third year. Jensen explained that without Mayfield’s participation and funding contribution, if Centerfield and Gunnison still moved forward with the combining their police departments, the cost levied on them would be significantly higher. Jensen if things moved forward without Mayfield’s participation, the plan would still be to operate a five-man department. Jensen said he believed the only way to make the plan work financially is to hire one of the current four fulltime officers as the chief. One option is leasing police vehicles rather than purchasing them, which could save a substantial amount on payments and maintenance. Donaldson asked if, after the two current police departments are dissolved and the new one formed, their pay rates could be changed. Jensen said yes, they could technically be changed, and people who had been drafting the agreement had discussed that possibility. Jensen said it would be possible to could move forward with the agreement, hire either McCall or Halliday as chief, and make the change budget neutral, or even save a small amount. Jensen said the amendment to the agreement would have the governing board of the proposed unified force made of up the mayors of Centerfield and Gunnison, two citizens-at-large chosen by each mayor or his respective council, and a fifth member, to be agreed upon by the two mayors, who lives outside Gunnison or Centerfield. The new chief would sit on the board as an advisory member with no power to vote. “Technically the fifth voting member could be from Mayfield, or anywhere else in Sanpete, as long as they do not live in Gunnison or Centerfield,” Jensen said. Blackham said, “I don’t want to throw it [the agreement] away yet. If we don’t strike, this will never happen again. Let me talk with Tom [Centerfield Mayor Tom Sorensen] and see what he has to say. The council tabled the matter pending further discussion and research. The panel plans to readdress it at their next meeting. GUNNISON—The Gunnison City Council discussed helping install a kid’s playground at the high school ball fields during a meeting on Wednesday, Sept. 21. Gunnison City Mayor Bruce Blackham said someone had contacted him recently wanting to donate money towards a local project, and Blackham said he thought that the proposed playground would be a good choice. “We see this as a good place for the younger kids to play during the games and tournaments going on with our teams,” said Councilman Trevor Powell, who is also the high school principal. “It wouldn’t be huge, obviously, but it would be big enough to give them someplace to play within eyeshot of parents. Powell explained the playground would be located in a central location in the high school complex, which itself is getting an overhaul. While still in preliminary stages, Powell explained to the mayor and council members some of the early considerations in making the playground a reality, such as total size of the playground and type of ground covering. “Wood chips are the cheapest ground covering, but rubber chips are the best as far as risk management goes,” Powell said. Gunnison City employee Matt Reber told the council he had looked into the cost of the rubber chips and they were about $300 per ton. “If the council will approve it, maybe we can also help haul off some of the old concrete, too,” Reber said. Powell said the total size of the playground was yet to be determined, but suggested that 40-feet by 40-feet might be a realistic figure. Blackham told Powell that the city could almost certainly help make the project happen, especially in conjunction with the potential donor. “If we come to some kind of consensus, and I get this potential donor to participate, maybe we can get things going and frame it up with curbing and get the rubber chips down,” the mayor said. The council decided to table the discussion while Powell determined the exact placement and size of the proposed playground. Once those variable were determined, the council plans to readdress its commitment to assisting with the playground. What appear to be patches in about 25 places along state highways in the county are actually efforts to level out roads for safety reasons, according to a Utah Department of Transportation (UDOT) official. The official said lane-leveling work is being done all over the state to try to prevent standing water on roads. Eliminating standing water reduces the potential of cars hydroplaning during heavy rainstorms. During winter, it also helps prevent black ice, which can send cars into spins, he said. One notable location where lane-leveling patches have been installed in Sanpete County is on U.S. 89 about a half mile south of Ephraim. The new surfacing was put in a couple of weeks ago. Traffic was limited to one lane in each direction for two days while the asphalt was going in. Other resurfacing has occurred along U.S. 89 near Fairview, at Strate’s Junction outside Spring City, in Sterling and Axtell. And about 15 of the lane-leveling patches have gone in on S.R. 28 between Gunnison and Nephi. Right now, some of the patches are a little rough “but traffic will smooth them out,” the official said. Paint crews should be arriving in the next week or two to repaint the areas, which will tie them in with the adjacent highways. Messenger publisher Suzanne Dean and managing editor Robert Stevens work on a new, interactive Sanpete County website, which goes live Oct. 15. MANTI—A new, fully interactive Sanpete Messenger website, destined to be the most complete news website in and for Sanpete County, will go live Saturday, Oct. 15 at 10 a.m. Besides the standard desktop browser version, the Messenger will offer a version optimized for smart phones and tablets. People logging on from their mobile devices will automatically see the specially formatted version. The colorful new site at www.sanpetemessenger.com replaces a site the Messenger has operated for about six years containing a PDF of the newspaper, posted about a week after publication. The existing site is rather balky and takes quite a while to load. And the PDF of the newspaper is not very high resolution. Even so, the site gets about 10,000 visits per month, a indication of the appetite for Sanpete County news, says Messenger publisher Suzanne Dean. “We expect the new site will very quickly get many times that traffic,” says Robert Stevens, the newspaper managing editor, who built the new PC and smart-phone sites. From the home page of the new site, a user can navigate to more than a dozen types of content, including news, opinion, lifestyle, school sports, society notices (missionaries, weddings and obituaries), the Sanpete Happenings calendar and the Crime and Justice log. Also accessible from any page via a convenient sidebar will be the most recent editions of Messenger special publications (such as the Home and Garden, Scandinavian Festival and Mormon Miracle Magazines), the Sanpete County Telephone Directory, a directory of schools in the county and a directory of municipalities (including links to many of the town websites). The site will be updated every Wednesday and Thursday, about the same time the printed Messenger is mailed. Major breaking stories will be posted as Messenger reporters cover them. Obituaries will be posted the same day information is received from mortuaries or the family. The site features five rotating banner ads. The same rotating banner will appear on the home, news, lifestyle, school and sports section pages. In addition, about 20 box ads (about 2 inches by 2 inches) and double-box ads (4 inches by 4 inches) are scattered throughout the site. Beginning in early October, the Messenger will be contacting businesses about advertising at low introductory rates. Initially, probably for about a year, the site will be free. After that, the Messenger expects to set up a pay wall and charge modest fees, payable by credit card, for users accessing more than a half-dozen or so items. Dayton Talbot, son of Layne and Rosella Talbot, Spencer Applegarth, son of Paul and Kathryn Applegarth, and Trent Seely, son of Ted and Tina Seely, all of the Mt. 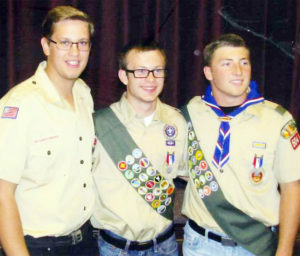 Pleasant 4th ward, earned their Eagle Scout awards just prior to their mission calls to Trinidad, Tobaggo, Sierra Leonne, and California. Michael Wayman, son of Gerald and Shauna Wayman of Ephraim, has accepted a call from The Church of Jesus Christ of Latter-day Saints, to serve in the Guatemala, Retalhuleu Mission. He will speak in the Ephraim 8th Ward, Sunday, Sept. 25, at 9 a.m. located at 400 East Center Street. Michael will depart for the Guatemala Missionary Training Center on Oct. 25. Earl “Bus” Joseph Davis Sr. was born April 19, 1927 in Midvale, Utah, to Joseph Claude and Lillian LaDean Evans Davis. He was the first of four children. 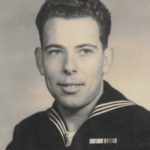 Bus attended Jordan High School, where at age 17, before graduation ceremonies, he joined the U.S. Navy to fight in WWII. Bus attended Westminster College in Salt Lake City on the GI Bill. Bus married Catherine Wilson, but they later divorced. Bus married Donna Jean Chapman in Elko, Nevada, in 1959, and they were sealed in the Los Angeles LDS Temple in 1981 to be together forever and all time. Donna was by his side for over 57 years and they enjoyed many adventures together. He worked for Kennecott Copper Mines as a young man. He retired from Operating Engineers Local 12, being a member for over 50 years. First and foremost, Bus loved his family. 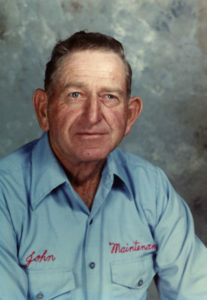 He also loved fishing, “anytime, anywhere.” He also enjoyed yard sales, both shopping them and holding them, and Pepsi. Bus is survived by his treasured wife Donna, of Manti, children Ron Davis of Wisconsin, Bonnie Shaw of California, Wendy Cook of California, Earl “Chip” Davis of Utah and Nancy Higginson of Arizona, as well as 14 grandchildren, 15 great-grandchildren and many nieces, nephews and friends. Funeral services were held at 11 a.m. on Saturday, Sept.24, 2016 at the Red Brick church, 295 S. Main St., Manti, Utah, with a viewing prior to services. Graveside service followed at 2:30 p.m. at Larkin Sunset Gardens in Sandy, Utah. 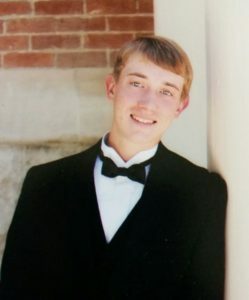 Online condolences welcomed at www.larkincares.com. 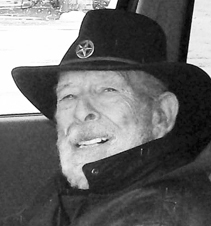 Steven Ray Madsen, 73, of Ephraim, passed away Sept. 25, 2016 at his home. Steven was born on Sept. 4, 1943 in Ephraim, to Ray and Phillis Stevensen Madsen. Steven married his sweetheart, Judy Ann Gulbransen, on Sept. 12, 1964 in Manti. Steven was a traveler, logging thousands of miles across the country with his family. He enjoyed the holidays with Christmas being his favorite. He was a gardener and won several awards for his beautiful yard. 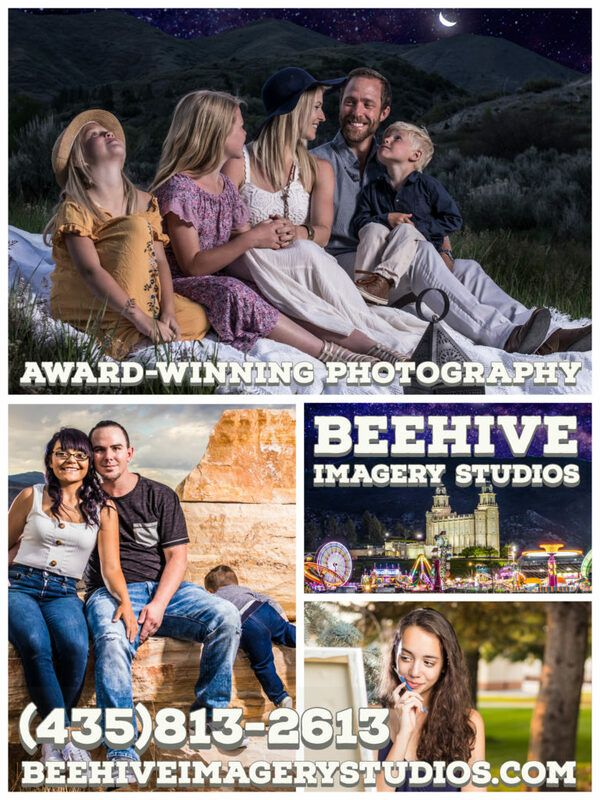 He was a photographer, lover of the outdoors, electronic enthusiast, projector operator at the Towne Theater, police officer, Utah Jazz fan, and “Jack of All”. Steven owned and operated Steve’s Keys and also worked for the South Sanpete School District as a custodian. He will be greatly missed by his family. He is survived by his wife, Judy Madsen, of Ephraim; children, Kimberly (Neil) Sorensen, of Spring City; Stacie (Lon) Crouch, of Spanish Fork and Cory Madsen, of Spring City. He is also survived by his grandchildren; Ashley, Aaron, Amanda, Kestlee, Brinley, Taeber, Aubrie, Caleb; great-grandchildren; Seth and Kaitlyn and sisters; Helene Willardson, of Ephraim and Diane Allred Jepson, of Brigham City. Steven was preceded in death by his parents. The family wishes to express their heartfelt thanks to Ron and Katherine Crouch and At Home Health Care and Hospice. In lieu of flowers donations to help defray funeral expenses would be appreciated. A Celebration of Life will be held on Thursday, Sept. 29, 2016 from 11 a.m. – 1 p.m. in the Ephraim Stake Center, 420 East Center, Ephraim. Funeral Directors: Magleby Mortuary, Richfield, Salina and Manti. Online guestbook atwww.maglebymortuary.com.